The Baloch people live in the southernmost region of the Iranian plateau in Pakistan, Iran, and Afghanistan. They speak the Balochi language. It is believed that the name "Baloch" is derived from the name of the Babylonian king and god Belus. Some believe the word is a derivation of Sanskrit words "Bal" meaning strength and "Och" meaning high or magnificent. The Baloch claim their origins to be in Aleppo in what is now Syria. They are descendants of Hazrat Ameer Hamza, the uncle of Islamic prophet Muhammad. 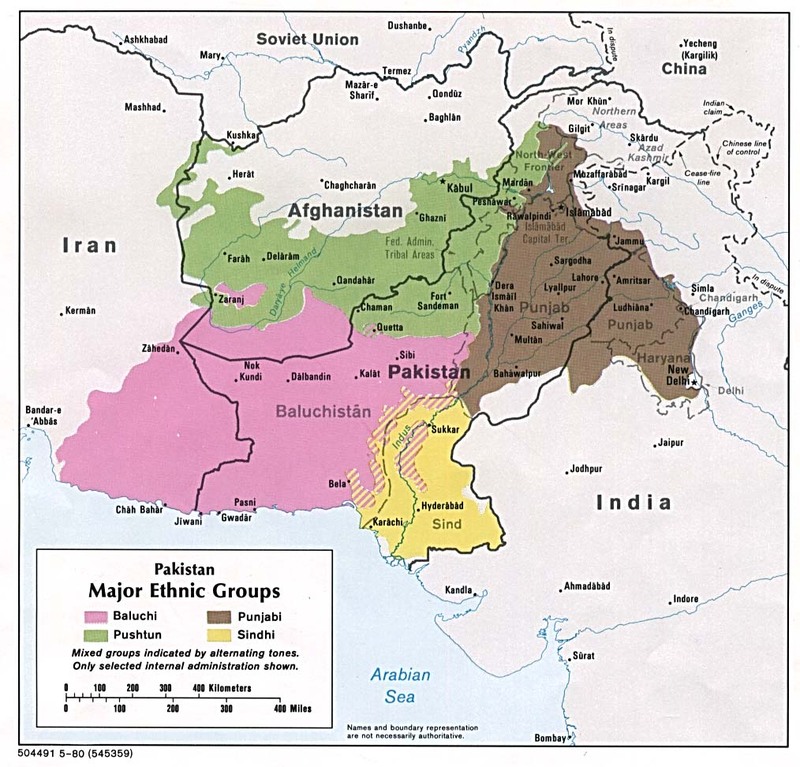 Based on an analysis of the linguistic connections of the Balochi language, the original homeland of the Balochi tribes was likely the east or southeast area of the central Caspian region. The Baloch generally live in remote mountainous and desert regions, which provides protection from invasions. They live mainly in the Balochistan region of the southeastern-most edge of the Iranian plateau in Pakistan, Iran and Afghanistan, as well as in the Arabian Peninsula. The total population of ethnic Baloch people is estimated to be around 15 million people worldwide. As of 2012, the Baloch represented 7.11% of Pakistan's 177 million people. As of 2008, an estimated 8 to 9 million Baloch people were living in Afghanistan, Iran and Pakistan. They are subdivided among over 130 tribes. The Baloch live according to tribal customs. They are separated into a number of different tribes, including the Bugti, Marri, Zehri, Hooth, and Megal. Baloch men wear long shirts with long sleeves and loose pants. They sometimes wear turbans on their heads. The Baloch living in Iran observe a more conservative dress code; some women cover their faces with thick red wools and wear a head scarf and long veil. Gold ornaments such as necklaces and bracelets are an important aspect of Baloch women's traditions. They usually wear a gold brooch that is used to fasten two parts of the dress together over the chest. They pass traditions to children through oral history retelling. The tradition of a Baloch mother singing lullabies to her children has played an important role in the transfer of knowledge from generation to generation for many centuries. They are predominantly Sunni Muslims but some are Shia Muslim. Balochi customs and traditions are conducted according to codes imposed by their tribal laws. * Scripture Prayers for the Baloch Rind in Pakistan. * Pray that the Baloch may be open to the message of the Gospel. * Pray that God will provide workers who speak the Balochi language to work with the Baloch peoples. * Pray that God will supply unity among the various tribes of the Baloch people.